An Interview with our Soup Contest Winner, Kay Z.
I was happily surprised to see the enthusiastic response to Idahoan’s recent Soup Recipe Contest: over 130 different mouthwatering recipes using Idahoan product. After sorting through, cooking, tasting and voting, the Idahoan staff picked their three favorites. 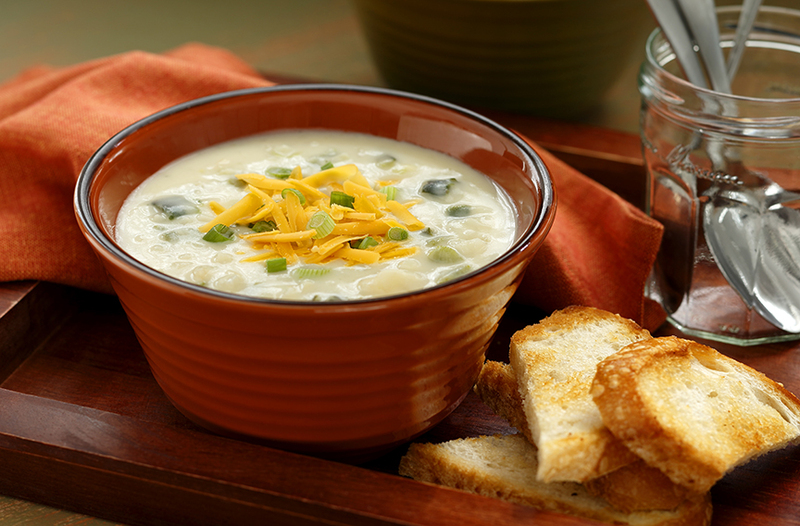 I had a chat with first place winner, Kay Z., creator of Creamy Poblano Potato Soup. During the taste testing at Idahoan, I, along with the rest of the Idahoan crew, loved the creamy spiciness that the poblanos threw into the mixture, not to mention the additional texture that using our scalloped potatoes added! Though simple to make, the deliciousness behind Kay’s Creamy Poblano Potato Soup recipe has, in a way, been years in the making. It started with peanut butter cookies and a small, beautiful North Carolina town near the Appalachians. Kay credits her mother and working restaurant jobs in her early twenties to her love of cooking, but it wasn’t until her move to Texas about 20 years ago that she started cooking frequently with peppers. “They just have a wonderful variety of peppers from mild to hot that you can get really fresh here compared to what’s available in North Carolina,” Kay said. She’s been experimenting with them ever since. So let’s raise our soup bowls to Kay, her good cook mother and the Southern chef’s move to Texas for this tasty meal.